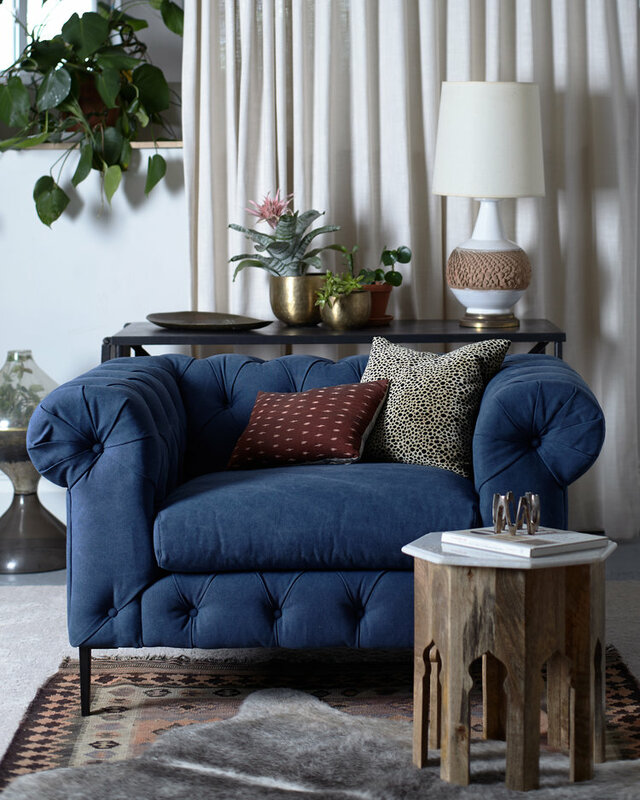 The One Room Challenge is a biannual event dreamed up by Calling It Home, where interior designers and bloggers take 6 weeks to completely transform one room. The amount of work these designers accomplish over just a few weeks is truly impressive. 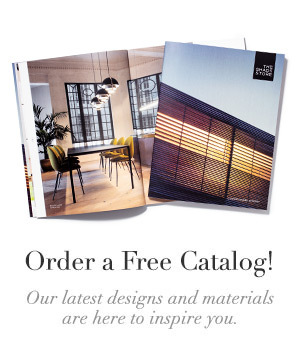 We were proud to be a sponsor of the Fall 2016 One Room Challenge, and we’d like to share several makeovers featuring The Shade Store window treatments. Photo by Mary Summers Hafner. Design by Hi Sugarplum. Cassie at Hi Sugarplum selected yellow Tailored Pleat Drapery to coordinate with her existing living room design and gorgeous Ann Jackson wallpaper. Brass drapery hardware coordinates with the Crystorama chandelier, mirror tray, and place settings. Photo by Mekenzie Loli of Loli Photography. Design by The English Room. 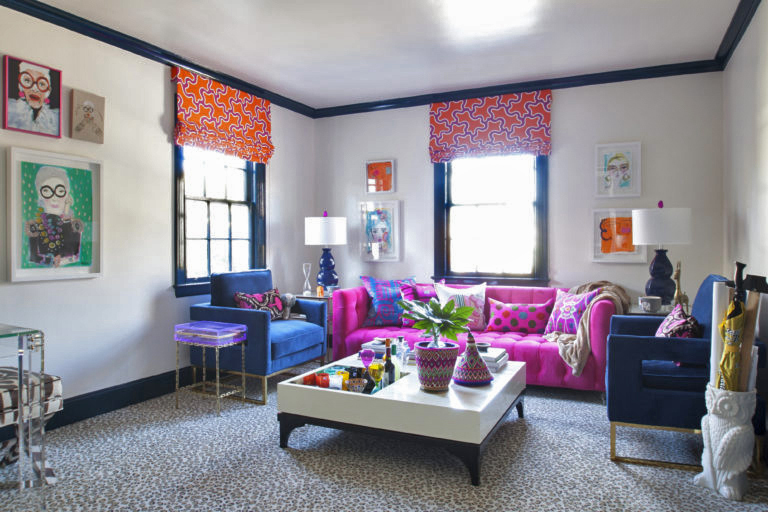 Blue, pink, orange, and leopard print all somehow mesh together in The English Room’s whimsical colorful office makeover. Flat Roman Shades in the Diane von Furstenberg material Cumulus pick up the bright colors of the furniture and look right at home next to trim painted in Farrow & Ball’s Hague Blue. Photo by Nicole Balch of Making it Lovely. Making It Lovely tackled several spaces in her 125 year old Victorian. For the five windows in her hallways, staircases, and front and back entryways, Nicole selected Flat Roman Shades in a pink linen. Photo by Kristin Jackson of Hunted Interior. 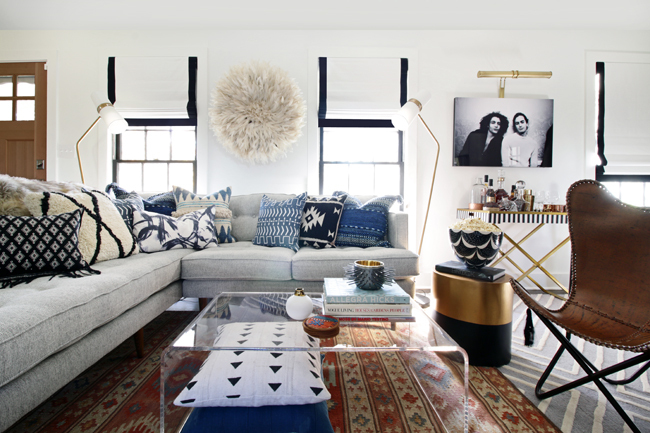 Kristin at Hunted Interior’s new living room is a lesson in pattern mixing done right. High contrast Flat Roman Shades in black and white set off the black built-in shelves and provide a blank canvas for colorful throw pillows and rugs. Photo by Laura Metzler. Design by Shannon Claire. 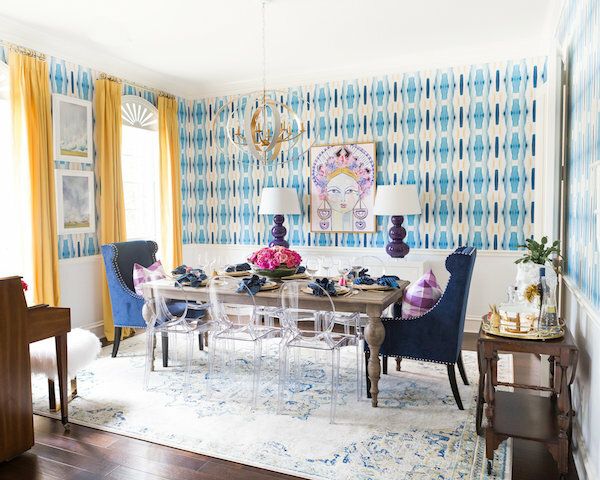 Shannon Claire chose the living room, dining room, and entry of her 750 square foot Washington, D.C. apartment for the One Room Challenge. Black and white Relaxed Roman Shades set off the sleek color scheme and add a touch of softness to contrast the wall of built-ins. Photo by Manuel Rodriquez. Design by Megan Pflug Designs. Megan Pflug took on the ground floor of her 1901 row house in Brooklyn, creating a guest suite that you can now rent on AirBNB. In order to make her 7-foot ceilings appear higher, she opted for floor to ceiling Drapery in Hemp. Photo by Kris Jarret of Driven By Décor. 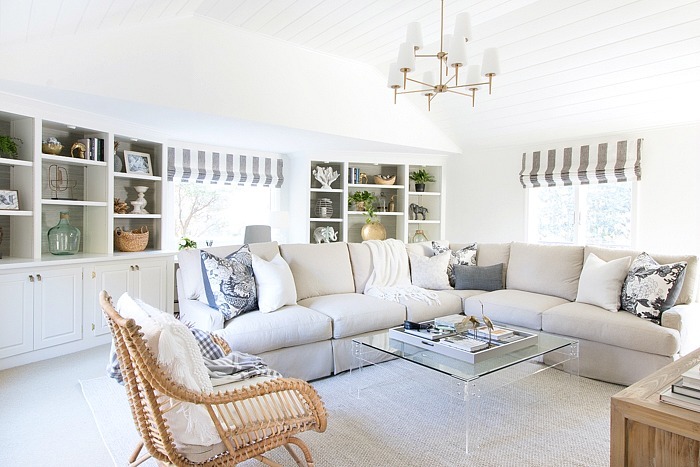 Kris at Driven by Decor turned her family room into a neutral oasis. 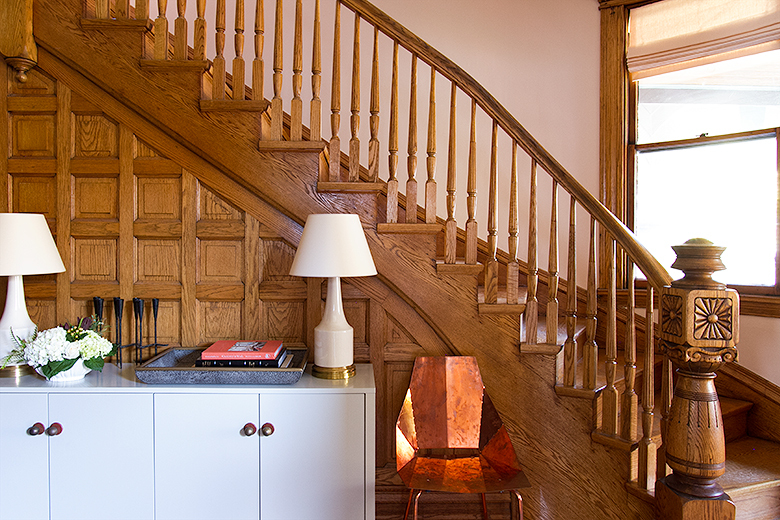 You’d never guess that these walls used to be painted red with the new muted color palette. 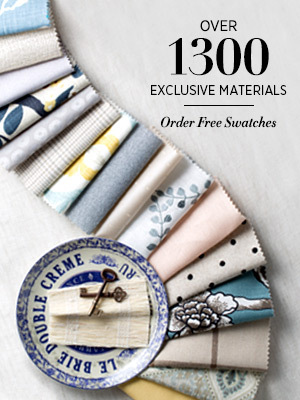 Flat Roman Shades in the striped linen Perfect Match accent the large windows and add textural interest to the space. These designers worked hard to make design plans, overcome renovation hiccups and problems, and revamp their rooms in a short period of time. We’ve greatly enjoyed following along with their One Room Challenge blog posts and seeing the final reveals. Congratulations to everyone who participated! 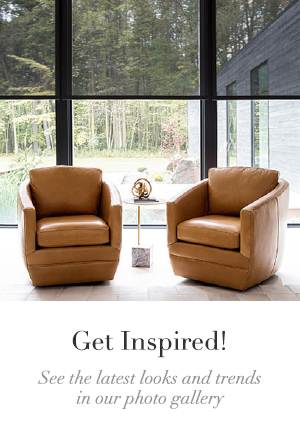 If you’d like to see more transformations, check out the full list of featured designers and guest participants at Calling It Home.